Gainesville is known for having dedicated sports fans because of its championship-winning teams from the University of Florida. Naturally, Gainesville is home to a variety of great bars to watch the game! So here’s a list of the best sports bars in Gainesville with great food, big screen TVs, and plenty of energy, the perfect setting to enjoy a sports game! One of Gainesville's newer bars, The Social is an ideal place to grab a beer and watch some football. It seems like no matter where you’re sitting, you can see a large television from all around the bar. The Social is one of the few bars in midtown that offers enough seating, and their menu is a major upgrade from regular bar food with buffalo chicken wontons and a tater tot platter that’s to die for! Mother’s Pub is a classic Irish bar. If you like to watch sports with an Irish car bomb and a burger, this is the right place for you. Mother’s has a rowdier crowd, and it’s a great place to grab a table with a group of friends to watch the game. One room in the bar has a projector display so you won’t miss a single play from your favorite teams. If you're going for Monday night football, Mothe'rs has an unbeatable wing special that night with 50-cent wings as well as 50-cent tacos. Sal’s Place is a classic sports bar that’s away from the hustle and bustle of midtown and downtown, making it a go-to for many Gainesville locals. They offer bar food classics like quesadillas, hot dogs, and wings and have billiards tables to enjoy while watching the game. Located on Archer Road, the Brass Tap has a more sophisticated look than a typical sports bar. 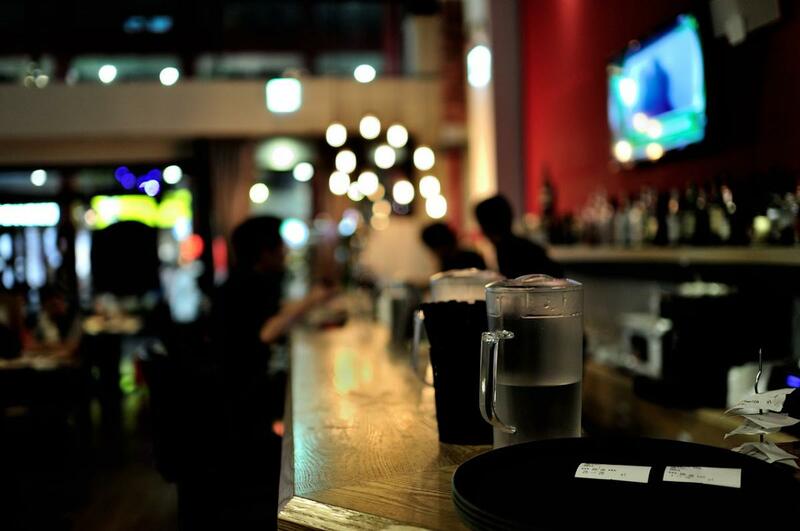 If you’re a beer connoisseur, then you’ll love the selection of IPAs and local brew on draft. It’s also a great getaway from the midtown and downtown crowds. There’s plenty of TVs as well, so every table is a good table to watch the game. The Swamp Restaurant has a prime location on the strip of midtown. Most days, they will set up a large TV outside and play sports. This makes the outside an amazing spot to sit outside and enjoy a game. The Swamp has a full menu that includes bar food and other options. They typically have great deals on pitchers of mojitos, margaritas, and beers that are great to share with friends. Miller's Ale House is always a good call for watching a game. The restaurant has TVs visible from every inch of the restaurant so you never miss a play. They carry all the domestic and imported beers you can think of and can make just about any drink. With daily food and drink specials, it's an affordable sports bar as well. They have a great selection of shareable foods that are perfect for getting together with friends. Next time there's a big game, grab your friends and check out one of the best sports bars in Gainesville! Find more sports bars in Gainesville and register on 352area, the ultimate free guide to North Central Florida.